Ten years ago, MySQL got a "bug report" about trouble with RLIKE. It got marked "won't fix" because MySQL used a regular-expression library that couldn't handle non-ASCII characters reliably. Over time there were multiple similar or duplicate bug reports but the only result was a note in the MySQL manual saying, in effect, "tough luck". Until now. Actually the fix is in a pre-release of the bzr branch for MariaDB 10.0.5, and I can't predict that the MySQL folks will copy it, but it looks good to me, and I clap for the original coders who made the "Perl Compatible Regular Expressions" library, the "Google Summer of Code" folks who pay students to help with open source projects, the student coder in question -- Sudheera Palihakkara from a Sri Lanka university -- and finally Alexander Barkov from the MariaDB foundation. So what were the problems and what's been solved -- or not solved? All the above answers are correct, for the first time ever. In fact one could say that the new REGEXP handles too many characters. It's adjusted for Unicode 6.2, a version that neither MySQL nor MariaDB support yet. This will of course be of concern to those who use the Meroitic alphabet, but they're a fading minority. "ERROR 1139 (42000): Got error 'parentheses not balanced' from regexp". and that looks a little less okay. In MySQL 5.6.14 the same search condition doesn't cause an error, it's considered to be "true". The MariaDB folks have proudly announced that version 10.0.5 supports "recursive patterns, named capture, look-ahead and look-behind assertions, non-capturing groups, non-greedy quantifiers". To which I'm sure that the response will be: What? How shocking that non-greedy quantifiers weren't added ten years ago! Well, maybe not. But when looking at new features, it's wrong to ask merely whether there's some advantage for the non-greedy man on the Clapham omnibus. The point is it's supposed to be more compatible with modern Perl programs, with Posix, and with all the box-tickers who will ask: do you really support regular expressions? And if someday I reach that pinnacle of ambition, to figure out grep, then I'll doubtless appreciate look-behind assertions in the way they deserve to be appreciated. In the operetta Die Fledermaus there's a refrain: "Happy is the one who forgets what isn't going to be changed". But I, alas, can't forget the comment that I wrote on Bug#746 ten years ago, showing there are at least six behavioural differences between REGEXP and the optional-SQL-standard operator, SIMILAR TO. The incompatibilities arise because SIMILAR TO works like LIKE, so it's more SQL-ish, and less Posix-ish. Thus, improvements in REGEXP alone are not an advance towards more standard SQL. This would matter more if there were many other SQL implementations supporting SIMILAR TO. The only ones I know of are PostgreSQL and Firebird. pgulutzan, October 22, 2013. Category: MySQL / MariaDB. I'll show a chart which indicates the level of support for trigger features in major open-source DBMSs. I'll comment on new features in MySQL 5.7. I'll show how triggers can be used to abort statements which are taking too long. "YES" if trigger body can be something like BEGIN statement1;statement2; ... END. "-" if trigger body an only be something like a single CALL statement. "YES" if ALTER TRIGGER is legal and can do something significant (more than renaming). Non-standard. "-" if the normal way to change a trigger is to drop and create again. "YES" if there is a persistent way to make a trigger inactive or disabled. Non-standard. "-" if the normal way to disable a trigger is to drop it or add an IF clause. "YES" if clauses like "BEFORE INSERT OR UPDATE OR DELETE" are possible. Non-standard. "YES" if there can be (for example) two BEFORE UPDATE triggers on table t.
"-" if only one trigger is possible for the same action at the same time. "YES" if it's possible to defer "after" checking until end of transaction. Non-standard. "-" if normal/recommended syntax is CREATE RULE, or normal body is EXECUTE clause. 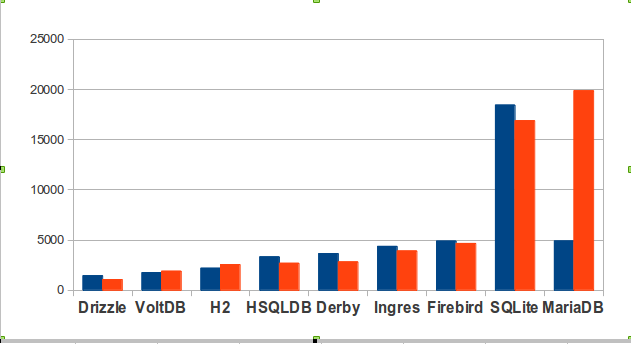 Information for this chart comes from the documentation for Firebird 1.5, Ingres 10.0, MySQL 5.6, and PostgreSQL 9.3. That is, NOT NULL no longer stops the INSERT if the trigger was going to change the value to non-null anyway. This was a long-standing feature request, and I doubt that anyone will complain. The second enhancement is WL#3253: Triggers: multiple triggers per table. "FOLLOWS t1" means "is activated immediately after t1", and in INFORMATION_SCHEMA.TRIGGERS there is an integer column ACTION_ORDER which reflects this (this column is not new, but in earlier MySQL versions it is always zero). Does s1 contain 'ab' or 'abc' or 'acb' or 'ac'? Answer at end of post. If you get it wrong, you should continue with the old way and put all actions in a single trigger; however, the coder (apparently Mr Dmitry Shulga) deserves congratulation. Of course the legitimate uses of triggers are (a) to make up for MySQL's lack of CHECK clauses by producing an error when a NEW value is wrong; (b) to add to a summary in table b whenever there's a change to table a. A less tame use -- because it is non-deterministic -- is aborting a statement if some external condition occurs. The example here is saying, in effect, "If 10 seconds have elapsed since the update began, stop and return an error". Since the ordinary timers like CURRENT_TIMESTAMP don't change during a statement, I use SYSDATE. Your mileage may vary but by luck it worked this way on my machine. Probably a progress bar would be more interesting, eh? I'll get back to that theme if I ever finish one. pgulutzan, October 7, 2013. Category: MySQL / MariaDB.